Why Does Every Way of Making Money Cost Us Money? Heard the expression speculate to accumulate? Simply put you have to invest capital in order to get a return, but what happens when capital is severally limited. Not everyone can or would want to afford one of the high ticket priced coaching courses. It is not only possible to start off small with a limited amount of cash i.e. A few dollars and still see a creditable profit on the investment. It’s about finding these little opportunities that make money and simply doing a rinse and repeat operation. Refining the system so that it works on a continual basis for you. But where do you find these opportunities when everyone wants to charge you an arm and a leg for the ‘next secret system’. There really are lots of different ways of making money online, but the problem is that most people keep chasing the next shiny pebble, the next profit breakthrough or the next big opportunity that is hyped to the hilt by the Gurus. The reason that this works for the Guru’s is that everyone is looking for the big payday the several thousand dollar day immediately. The promise of push button profits is very tempting so people continually invest their hard earned cash in these systems. The truth of the matter is there are lots of little opportunities that still exist but that most people have forgotten about in these days of the Internet. In this complete business plan I will show you the system that I use to earn myself another income by placing inexpensive (or even free) small ads in newspapers and magazines. You do not ship any stock. You never deal with customers. All you have to do is bank the regular payment cheques. It takes only a few minutes a day to run this. Work in Multiple Niches selling multiple products. Here is the complete step by step business plan exactly as I run it. No fluff, no filler and no padding. Just first class instruction and advice. This system could have you making money in days. Oh and the price, I could charge a lot more for this but to my valued subscribers it’s a measly $7. Plus you can buy the Resell and Master Resell Rights to this product for only $20 and $47 respectively a product to sell yourself immediately. When I told one of my friends that I made money from Small Ads he laughed and told me it was so dated no one makes money from Small Ads these days what you need is a website and sell from there. Great if you can get anyone to find it or want to continually drive traffic to it, too much like hard work for me I think! In the old days I would have take this nugget of advice as sage wisdom. But not anymore you see this was the same friend that told me that I could never make any money from eBay. So check out Make a Killer Income from Small Ads and add kick start your business today. Rob…………. All I can say is…BRILLIANT! I love the way you think outside of the box. Your money-making strategies are so straight forward, anyone can follow them. Thank you for being the marketer that you are. I aspire to be almost as good as you someday. George Nieves recently posted..Do You Want To Be Successful In 2010??? Hey George thanks for the kind words, just keep the faith my friend and you will get there! Its so true that people are always looking for whats next, the serious reason why people dont make the money they chase online is they make excuses and dont take action. If you go with this system then stick with it and do as it says, yes it is “work” and you do need to take action, its not too hard or complex but there are 1000 other excuses you can quite easily use to not get anywhere with it if you are of that frame of mind. I’ve tried small ads in National Newspapers. They do get a response but you need the right product or service to make it profitable. John McNally recently posted..What’s Your Favourite Number? “To earn money, you must invest money” that’s what my mentor said and for me it is true!but i read a book by Robert kiyosaki he uses the method of OPM – Others people money to invest. Nice input you got there and good luck! Hi John this is true but thyere are hugh amounts of decent products that you can sell, look at what is already selling and find something similar is always a good starting point. It takes money to make money this is how we calculate our return on investment.Adding time and money together gives us our ROI. It takes a lot of money indeed. I guess to mske sure that the money you are spending is worth it, you need to make good decisions. Not just think twice or thrice but many times. Sometimes, consulting other people is good too. Hi Anita thanks for dropping by, Small Ads are just one way of pulling in some cash, I quite like to have a few sources of income that bring in cash from different ways. Hi took a look and rather like your KIndle store how long did it take to set all this up? Hello Robert, I guess we had forgotten the basic ways of earning income. Everyone is moving forward, following what is popular, then ending up left out since a there are already a lot of people doing the same thing. Going back to the opportunities that were done in the past is a great idea. I strongly agree with you in all the miracle products that “gurus” sell to novices like me. I learn the hard way that there is not an easy way to make money online. I think that most of us jump to this wagon because we don’t have to be wealthy to start an online business. 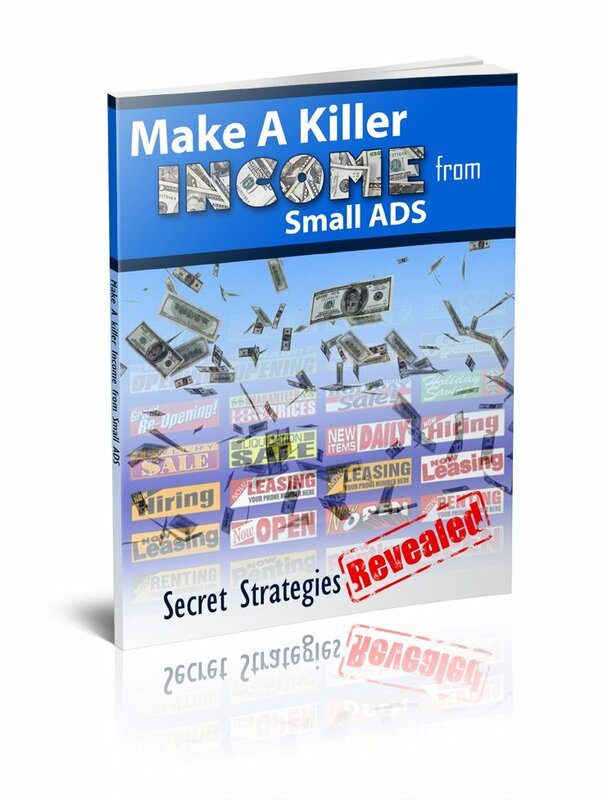 I will take into serious consideration this book on making income with small ads, it might help. However, I thought the article would go in different direction, as the title is “why does every way of making money cost us money”, and yet, it offers something on which money has to be spent…while it should learn us the way of how to make money (not how to spend it). I am just being honest here, so I hope you won’t delete the comment-I guess that many people would. Anyway, looking forward to getting your answer. Hi Kristina, thanks for dropping by, using the free ad papers will only cost a modest amount which is insignificant to the amount you can make with the right choice of product to promote. You can try out a lot of differnt niches at a tiny cost. 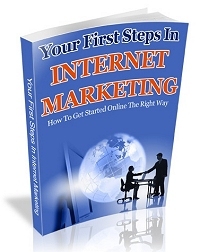 You are such a great internet marketer! I think this is the 3rd or 4th post I read in your blog and I learned so much from you. Thanks so much for the tips!